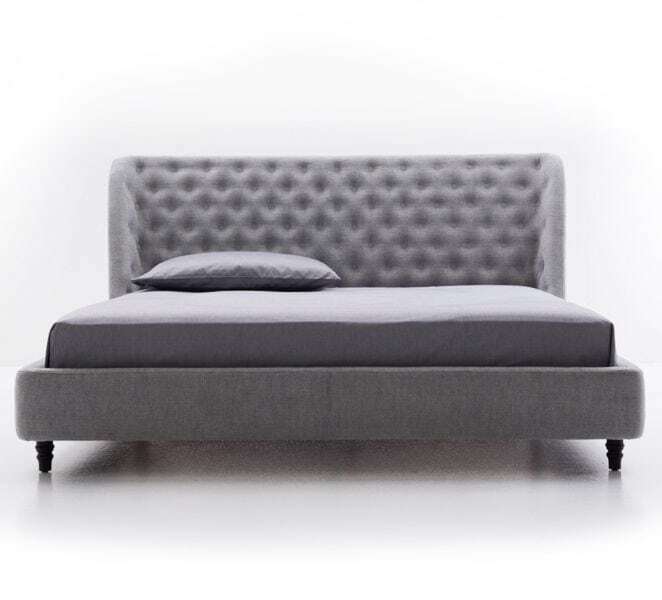 Upholstered bed covered in synthetic leather or soft leather. With matt bronze, white or graphite embossed lacquered steel feet. Optional: back heardboard covered in soft leather or leathertex. Slats included.